Who should have replaced Shadab Khan for the LOI series against England? Former Pakistan fast-bowler and Head Coach, Waqar Younis has been an important figure in Pakistan cricket since his international debut in 1989. His legendary fast-bowling partnership with Wasim Akram is stuff of legends as are his many memorable performances for Pakistan where he grabbed 789 wickets in 389 games for his country. In an interview with Saj, Waqar Younis spoke about his views on the potential of Mohammad Abbas and Faheem Ashraf, the emergence of hungry young talent in the shape of Shadab Khan and Hasan Ali, the worrying absence of express fast-bowlers from Pakistan and Sarfaraz Ahmed's woes as captain in Test cricket. PakPassion.net: There are some who believe that Mohammad Abbas' lack of pace could be an issue on some surfaces around the world. Do you agree with that assumption? Waqar Younis: No, I don't think that's right. Other bowlers have survived at that pace at this level and if you are smart enough and you have the skills then you will be fine. He played in the West Indies not so long ago, I was there and saw him bowl and initially I thought he might struggle on those sort of pitches but he didn't. He picked up wickets and he was very useful with both the new ball and the old ball and was reversing it as well. I don't see anything wrong with his pace, he bowls at a decent pace and he bowls with very good control of both line and length. Also, the areas that he bowls in are perfect for international cricket. PakPassion.net: Pakistan has lacked a pace-bowling all-rounder for quite some time now. Faheem Ashraf looks like he fits the bill perfectly, doesn't he? Waqar Younis: I don't think he has blossomed just yet. He has plenty to offer and has already proved that he can bat at the highest level which is what really excites me. He needs to work on his batting but he has the potential. I don't see anything wrong with his bowling and I think he will get better and better with the ball. He's a young man and will learn as he plays more games. He has the potential to become a very fine all-rounder and he is the sort of player that Pakistan has been missing since the days of Abdul Razzaq and Azhar Mahmood. PakPassion.net: It's widely recognised that Pakistan is now producing a generation of young, fearless cricketers such as Hasan Ali, Shadab Khan and Faheem Ashraf who have quickly found their feet in international cricket. What do you put this down to? Waqar Younis: It's all about confidence, isn't it. They are hungry for success. They come from small towns and I think it's fantastic to see such cricketers coming from areas which have not always produced international cricketers. I think it's really important for Pakistan cricket to ensure they are finding the talent from places other than the major cricketing cities. In the past players have come through from the not-so-well-known areas like Mushtaq Ahmed, Mohammad Zahid, Mohammad Irfan and myself. It's crucial that all of this talent is identified and nurtured as quite often these boys from the smaller towns and cities are hungrier for success and are more keen to improve at the highest level of cricket. This is the reason why I feel the likes of Shadab, Hasan and Faheem have settled so quickly into international cricket. In addition, being part of the Champions Trophy squad and winning that competition must be a massive boost for their confidence. PakPassion.net: There is a tendency now to play quite a few of the players in all three formats for Pakistan. Do you think there is a danger of burn-out? Waqar Younis: No, I don't think so. This is their time to learn and at this age just let them play as much as possible. I would just urge caution regarding playing in a lot of Twenty20 leagues around the world, though, as the focus and priority has to be on international cricket. The more these boys play across the three formats, the more they will grow as cricketers. PakPassion.net: Have you any concerns about Mohammad Amir's bowling since his return to international cricket? Waqar Younis: No, I don't think there is anything to worry about. There is some wear and tear on him as he was playing international cricket at such a young age. It's not easy to come back after being out of the game for 5 years. You can't expect an 18-year-old kid to be out of the game for 5 years and then come back and be the same bowler and do the same things he was doing before his ban. The game has moved on also, it's more fast-paced and there is more Twenty20 cricket being played around the world. But he's a fighter. I was always supporting him for his comeback to cricket as I feel that everyone makes mistakes in life. We are living in a world where we should be able to forgive people and move on as long as they have learnt their lesson. He's an asset for Pakistan cricket and he remains a match-winner. PakPassion.net: Is there a danger of burn-out by playing Mohammad Amir in all three formats? Waqar Younis: I think for Mohammad Amir as a strike-bowler playing in all three formats all of the time is a bit too much because he's also playing in Twenty20 leagues around the world. He has to be careful with his workload and that hunger to play for your country has to remain. Sometimes that hunger can diminish if you are playing in all formats, all of the time. 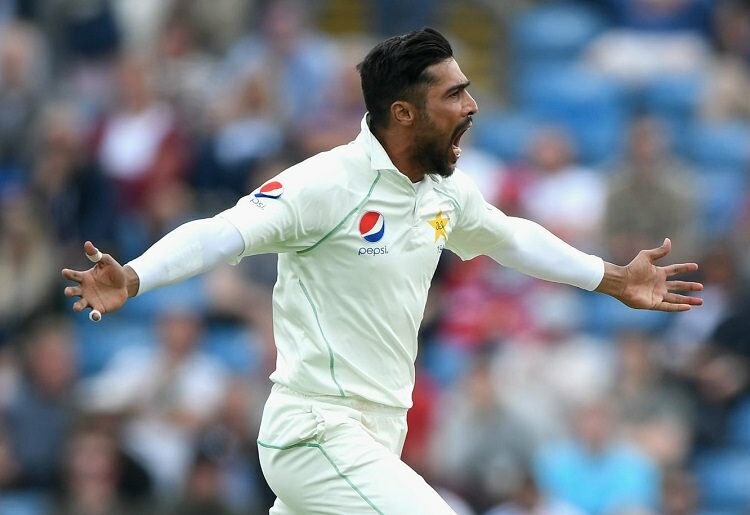 PakPassion.net: Do you feel that Mohammad Amir's best years as a bowler are ahead of him? Waqar Younis: At the moment, I think he's bowling the best he has ever bowled during his career. He's working hard on his game and he's been a bit unlucky that he has not always got the results that his bowling has deserved. PakPassion.net: There is a lot of young talent coming through for Pakistan, what do you put that down to? Waqar Younis: The Pakistan Super League (PSL) has quite rightly received a lot of praise and credit for nurturing this talent, but domestic cricket also deserves some credit for producing these players. Pakistan domestic cricket has not always received the credit it has deserved, but the fact is that it has been producing high-quality cricketers for nearly 70 years. Pakistan domestic cricket can do more to help it's cricketers. We aren't quite there compared to other nations' domestic structures, the standard of their pitches and the standard of their domestic cricket and it definitely needs more attention. We have seen some good cricketers emerge from the PSL, but that tournament will not produce you quality Test cricketers. Those cricketers will need to be groomed and that process has to be done in domestic cricket. PakPassion.net: What's happened to the 90mph bowlers that Pakistan has always been famous for? Waqar Younis: I think the lack of international cricket in Pakistan has been a major factor regarding this and it has taken its toll. We are now seeing the symptoms of 10 years of no international cricket in Pakistan and what it has left behind. Pakistan has some bowlers of a decent pace, but yes, I agree there aren't too many 90mph pace bowlers around at the moment. There are some coming through, though, such as Shaheen Shah Afridi who bowls at a good speed. Such is Pakistan cricket that there will always be someone there to bowl at 90mph, it's always been our way. But, sometimes you have to be patient as you can go through phases where there is a shortage of these 90mph bowlers. But as I say, in nearly 70 years of international cricket Pakistan has always had 90mph bowlers and I do not see that tradition ever changing. PakPassion.net: Speaking of Shaheen Shah Afridi, he's spoken of as the next big thing in Pakistan cricket. How highly do you rate him and do you think he will be ready for international cricket soon? Waqar Younis: I hope he stays fit as he's playing cricket at a very tender age. They need to be very careful with him and not rush him into playing too much cricket. I believe he was supposed to be on the current tour of Ireland and England but there was a change of mind at the last minute as it might have been a case of too much, too soon for him. It would be better if he was groomed and prepared fully and not rushed into international cricket. Hopefully we will see him soon in international cricket, as it's good for cricket to see young pace bowlers who may be a bit raw but have a lot of talent and have genuine pace. PakPassion.net: As a former captain of Pakistan, you are fully aware of how difficult the role is. Sarfaraz Ahmed is leading the team in all three formats, is that too much to ask of him? Waqar Younis: We don't really have any choice at the moment. But he has to lift his game particularly in Test cricket. If you are looking to play a young team with a couple of all-rounders, then Sarfaraz needs to lift his game batting at number six. He needs to take more responsibility and lift his batting in Test cricket. He is fine in the Limited-Overs formats but his performances with the bat have definitely dipped in Test cricket. But he will battle it out, and as far as captaincy in all three formats is concerned I would stick with him, but there is no harm in keeping your eyes open in terms of future replacements. PakPassion.net: Do you feel you have unfinished business as far as coaching Pakistan is concerned and is it a job that you would like to return to, perhaps in future? Waqar Younis: I did my time, I did my stint and I don't know what the future holds. I enjoy what I'm doing at the moment and I love being around the game. It doesn't matter to me whether I am in the dressing room or not, in the press box or the commentary box, it's always enjoyable. I love cricket, I played the game hard and at the moment I am keeping my options open and see how things go in the future. PakPassion.net™ © copyright 2019 All Rights Reserved.